A typical Southern Italian style blend with robust taste and body. Aroma comes from blend of washed and natural Arabica and Robusta coffee beans. For coffee drinkers who enjoy a true Italian espresso. Smooth, but intense with a full body and gently persistent aftertaste. A mix of natural and washed Arabica and Robusta beans producing a strong but smooth espresso. The blend combines sweet Brazilian and delicate Indonesian beans. A full-bodied taste that has an intense but short aftertaste. 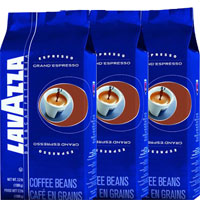 Lavazza Cremosa low fat milk is a high quality skim milk powder used to enhance the flavour of the coffee. ” I thought I would provide you with feedback regarding the coffee. The feedback I have received from everyone is that they are extremely happy with the taste of the coffee. Thank you for your prompt and professional service “. 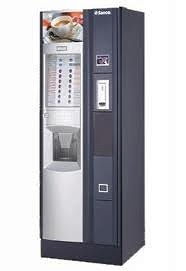 A completely automatic vending machine designed to reduce maintenance and service. It offers up to 12 different beverages. 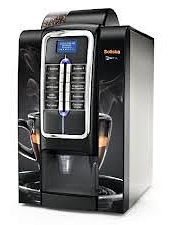 Automatically dispenses cups (up to 500), sugar and stirrers. Saeco Brewing Unit for easy cleaning and maintenance. Produces 7-9 gms quality espresso coffee. Accepts the most commonly used payment systems. Two different cup sizes and types. Quality coffee, cappuccino, hot chocolate and tea. Coffee unit and Sigma fresh brewing unit. A completely automatic and space saving machine. For small to medium locations. Hot and cold options to suit every taste. Espresso and double espresso technology. Reliable grinder with self-adjusting blades. Easy to use selection panel. Larger capacity and wider range of beverage. Coffee and leaf tea brewers with specialist Necta mixers. Selections and payment panels are user-friendly. Tabletop range for small locations. Wide choice of drinks with small footprint. See through coffee beans hopper. No more mess on the bench from employees making their own coffees and teas. No more hassles of having to physically stock the team rooms with coffee/tea facilities. 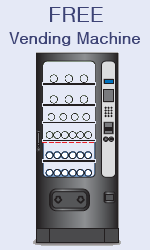 The coffee machines are always kept fully stocked and cleaned and are serviced weekly or as needed. Everyone gets to enjoy delicious, high quality, cafe-style coffee. Highly personalised service from the vending operator. Availability of beverages 24/7 for staff who are working overtime or weekends. Yes, for all vending machines provided. Is there a call our fee in the event of machine breakdown? How often do you service the machines? Machines will be stocked, cleaned and fully serviced weekly or as needed.